Sign-up and receive Property Email Alerts of Residential Estates in Cape Capri, Fish Hoek. A 5.6-hectare section of land in the Capri area has been earmarked for the development of a new, gated security estate, Cape Capri Estate. The development will feature individual erven ranging in size from 434m2 to 483m2. Homes at Cape Capri Estate will exhibit recognisable Cape Vernacular architectural references, while the orientation and internal designs will maximize on a feel of space, an abundance of natural light, easy flow and contemporary finishes. 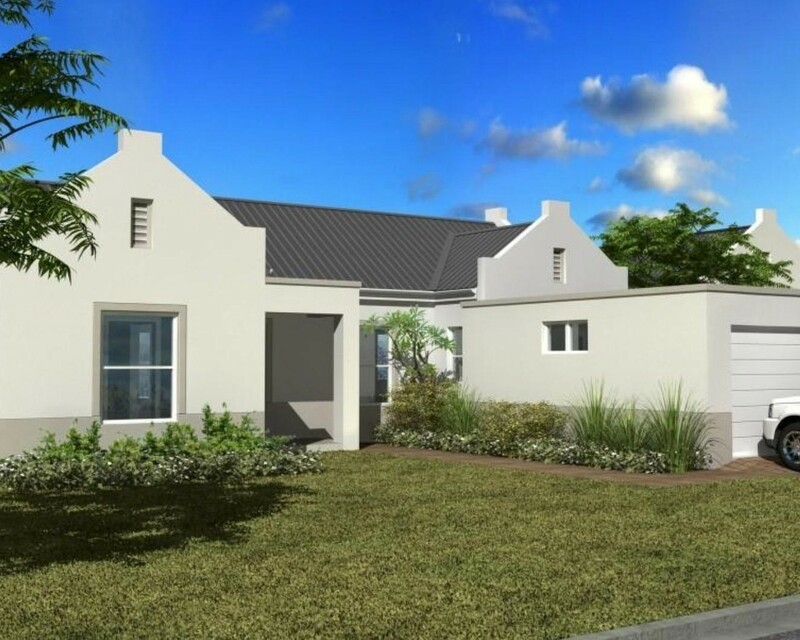 Features include exposed trusses, open-plan living spaces and paved, covered entertainment patios with built-in braais. The bedrooms will house fitted cupboards and the kitchens will boast granite counter tops and gas hobs. Solar geysers and energy saving lighting are to be standard. Two and three-bedroom homes are to be offered on a turnkey basis, with options of single and double-storey configurations. An abundant 7500m2 of public space within the estate will feature indigenous landscaping as well as water retention areas. Freehold opportunities will be made available initially with a further nine on offer in the second phase. Cape Capri Estate will offer residents a safe and secure lifestyle within a community likely to comprise mainly of young families, young professionals who are first-time home buyers and possibly retired couples looking to scale down. The magnificent valley setting with mountain views is also perfectly located in terms of pristine beaches. Long Beach is only five minutes away and the beaches of Fishhoek and Glencairn are no more than a 10-minute drive. Cape Capri Estate is also well placed for shopping facilities, with Long Beach Mall and Harry Goeman's Gardening Centre a stone's throw away, and False Bay Hospital just 5.6 kilometres down the drag. Furthermore, there are plans for a new medical centre behind Long Beach Mall. Among the numerous easily accessible schools are: Fishhoek and Sun Valley, Silvermine Academy, Imhoff Waldorf and Reddam House.